The Equity Group's experienced, dedicated team averages 13 years with our firm. Our Investor Relations Consultants have broad and deep contacts in the investment community, exceptional investor communications skills, and expertise in small/mid-cap advisory. The Equity Group administrative staff is extremely capable, supporting well-organized and efficient IR programs for our clients. Our client testimonials are a direct reflection of our team's skills and level of commitment. 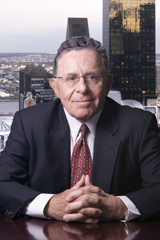 Bob founded The Equity Group in 1974, and can be considered one of the early entrants in investor relations. Before founding the firm, Bob was Vice President of an investor relations firm, Assistant to the President of Federated Capital Corp. (an Investment Bank), and on the audit staff of Ernst & Young. Bob holds an MBA from Harvard Business School. Bob has served on the Boards of several public companies, has advised many pre-IPO companies on their business plans and the IPO process, and has made many introductions to Investment Banks and other financing sources. Bob acts in an advisory capacity, counseling clients on financings, relations with the investment community, communicating major news, and all areas that relate to their postures as public companies. Loren joined The Equity Group in 1997. For 10 years, she implemented comprehensive investor relations programs for clients in various industries, including industrial products, specialty chemicals, cleantech, gaming, technology, healthcare and business services. Programs involved written communications, investment community outreach, media relations, market intelligence and advisory. 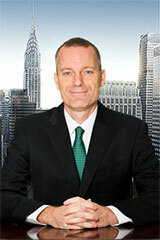 In 2007, Loren became a Senior Vice President, focusing on corporate development, and was appointed President in 2013. 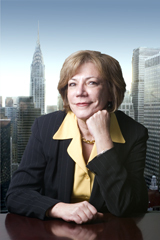 Prior to joining The Equity Group, Loren was as a Financial Analyst at Brenner Securities, an Investment Bank, where she developed financial models, drafted private placement memorandums and prospectuses, and created roadshow presentations. 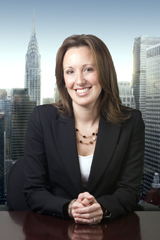 Loren earned her BBA in Finance from the Goizueta Business School at Emory University. Fred joined The Equity Group in 2012, bringing 5 years of experience in equity research, and 11 years of experience in investor relations. Fred was a Senior Industrials Equity Analyst at Rodman & Renshaw, and an Equity Research Analyst with CJS Securities for four years where he covered companies in a range of industries including Aerospace & Defense, Industrial Electrical Equipment, and Engineering & Construction, among others. Prior to CJS, Fred was Director of Investor Relations & Corporate Communications for K&F Industries, Inc., a public Aerospace & Defense company that was acquired by Meggitt, PLC; Investor Relations Manager at NIKE, Inc.; Investor Relations Manager at J.D. Edwards & Company, an enterprise software company that was acquired by Oracle; and Director of Investor Relations at Syntroleum Corporation, an energy technology company. Prior to these positions, Fred was Associate Director/Market Intelligence Group Leader-Specialty Chemical Sector at Thomson Financial Corporation. Fred received an MBA with honors from Fairleigh Dickinson University and a BS in Business Administration from Villanova University. He holds the Chartered Financial Analyst designation. Linda joined The Equity Group in 1980. In the ensuing years, she has been responsible for all phases of investor relations programs, across a broad spectrum of industries. She has written countless news releases, annual reports, corporate profiles, presentations, scripts and speeches. Proactive investment community contact work on behalf of clients has earned Linda the respect and trust of investment professionals who look to her for investment ideas that meet their specific criteria. Prior to joining The Equity Group, Linda was Vice President of Irving L. Straus Associates, which within months of her departure was acquired by Financial Relations Board. Linda is a graduate of Washington University, St. Louis, MO. 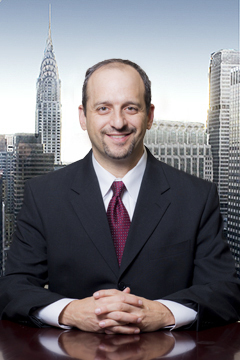 Adam has been with The Equity Group since 2000. 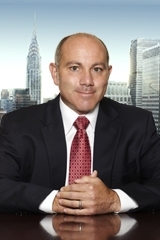 During that time, he has helped create and directly manage full-service investor relations and corporate communications programs for companies in a range of industries, with particular expertise in financial services (insurance, banking, BDCs, REITs), gaming, education, and foreign-listed companies. Adam received a Bachelor's Degree in Mass Communications from the University of Nebraska. Devin joined The Equity Group in 1993 and since that time has been developing and executing results-driven investor relations programs and providing C-level strategic communications counsel for a diverse group of companies. He has worked with clients in a range of industries, with particular expertise in Industrial Products & Services, and Healthcare Products & Services. An award-winning writer and account manager, Devin has earned a reputation as a skilled counselor and communicator of new issues, growth stories, turnarounds, mergers and acquisitions, restructurings, and crises. Devin received an MBA from what is now The Robert B. Willumstad School of Business at Adelphi University and a BA in English and BA in Sociology from Fairfield University. Kalle joined The Equity Group in 2014. He is involved in all aspects of the IR function, including positioning and investor communications, investment community outreach, organizing non-deal roadshows, media relations, advisory and market intelligence. Prior to joining The Equity Group, Kalle developed and implemented global IR programs for clients across industries in North and South America while at The Breakstone Group. Before that, he shaped investor communication strategies and materials for various specialty pharma clients at CCG Investor Relations. Kalle also has more than five years of equity research experience, working as a sell-side analyst at Cathay Financial LLC in New York, where he covered event-driven special situations, with an emphasis on companies in the broader healthcare space. He started his career as a business valuation consultant at Deloitte & Touche. Kalle earned his MBA from New York University's Stern School of Business, and his BBA in Finance from the University of Wisconsin, Madison. He holds the Chartered Financial Analyst designation. 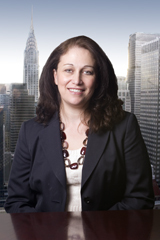 Lena joined The Equity Group in 2006, and has been a Vice President since 2012. She executes comprehensive investor relations programs for companies in a broad range of geographies and industries, including Cybersecurity, Technology, and Industrials, among others. Lena is involved in all aspects of the IR function including writing/editing, investor and analyst outreach, media relations, advisory and market intel. Prior to joining The Equity Group, Lena spent eight years at Capital Link, an international IR firm, where she provided a range of investor relations services. Lena, who is fluent in Greek and Albanian, and has working knowledge of Italian, is a graduate of the University of Tirana, where she majored in Finance. Jeremy joined The Equity Group in January 2016. Previously he was Director of Research and Chief Operating Officer at Singular Research, where he also provided research coverage on a diverse set of companies, including issuers in the financial and energy sectors. Jeremy also ran his own hedge fund, Avenue-T Fund, which pursued an equity long/short strategy focused on small-cap companies, for seven years. Prior to Singular, Jeremy was a Director and Senior Research Analyst at Divine Capital Markets where his research coverage included energy-related themes and emerging technologies. Jeremy was jointly responsible for the development of the firm’s Efficiency 3.0 research thematic while also authoring several macro reports covering areas such as water and the smart grid. 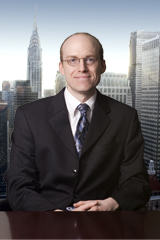 Prior to that, Jeremy was a Director of Research, Generalist and a Small-Cap Analyst at Thompson, Davis & Company. 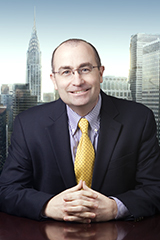 Jeremy began his career as a Trader at Nash, Weiss & Co., and received his Bachelor of Science in Business Administration from the E. Claiborne Robins School of Business at the University of Richmond. Carolyne joined The Equity Group in April 2010. Carolyne is involved in all aspects of the IR function, including positioning and investor communications, investment community outreach, organizing non-deal roadshows, media relations, advisory and market intelligence. She has worked with companies in a range of industries, with particular expertise in Education, Energy, Technology and China. Prior to joining The Equity Group, Carolyne was at A&R Edelman, a leading global public relations firm, where her focus was on tech PR in Silicon Valley. Carolyne graduated with honors from Wellesley College and went on to earn a Master's Degree in Journalism from Northwestern University's Medill School of Journalism. Kevin joined The Equity Group in 2016, and works primarily with Industrial and Consumer companies. He is involved in various aspects of the IR function, including market intelligence, investment community outreach, and investor communications. 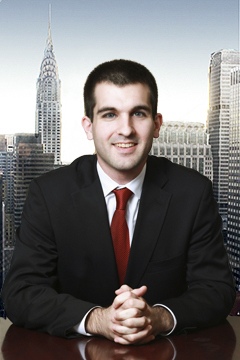 Previously, he spent three years as a Research Associate at DeMatteo Monness LLC, where he performed qualitative analysis on Industrial, Energy, Transportation and Real Estate companies, and organized subject matter expert events for the firm’s institutional client base. Prior to that, Kevin held several internships including at CRT Capital Group, and at the High Yield desks of Nomura Securities and Knight Capital Group. Kevin holds a Bachelor of Business Administration in Finance from the University of Miami, where he also served as a Head Manager of the Miami Hurricanes Men’s Basketball Team for four years. 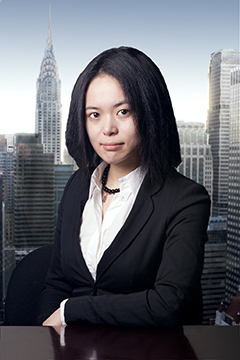 Katherine joined The Equity Group in 2009, working primarily with U.S.-listed companies based in China. Katherine is involved in all aspects of the IR function, including positioning and investor communications, investment community outreach, media relations, advisory and market intelligence. 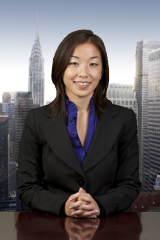 Before joining The Equity Group Katherine was a Corporate Financial Analyst at Baron Group in New York. Her region specific work included in-field research of buy-side companies in mainland China, and conducting seminars for potential client companies in major cities like Shanghai and Beijing. Katherine is fluent in Mandarin. She received a Bachelor's Degree from The State University of New York, where she majored in Applied Math & Statistics and Economics.